Arizona holds the title for highest percentage of Indian land designation. There are 21 American Indian tribes within the state. The Havasupai tribe still resides at the bottom of the Grand Canyon. Located near Havasu Creek, the village allows tourists and hikers to camp and explore natural waterfalls and trails. Many famous bands and musicians call Arizona home. The Gin Blossoms, Jimmy Eat World, and The Refreshments were all bands to come out of The Grand Canyon State in the 90s. Alice cooper and Stevie Nicks are also Arizonans. Baseball fans can take advantage of the state’s prevalent Spring Training program. The state hosts the Cactus League made up 15 teams including the Arizona Diamondbacks. Spring Training has become somewhat of a tradition for many natives dating back to 1947. Arizona is the only state besides Hawaii that does not observe Daylight Savings Time. While the rest of the country struggles to remember to “spring forward” or “fall back,” Arizona’s clocks remain unchanged. 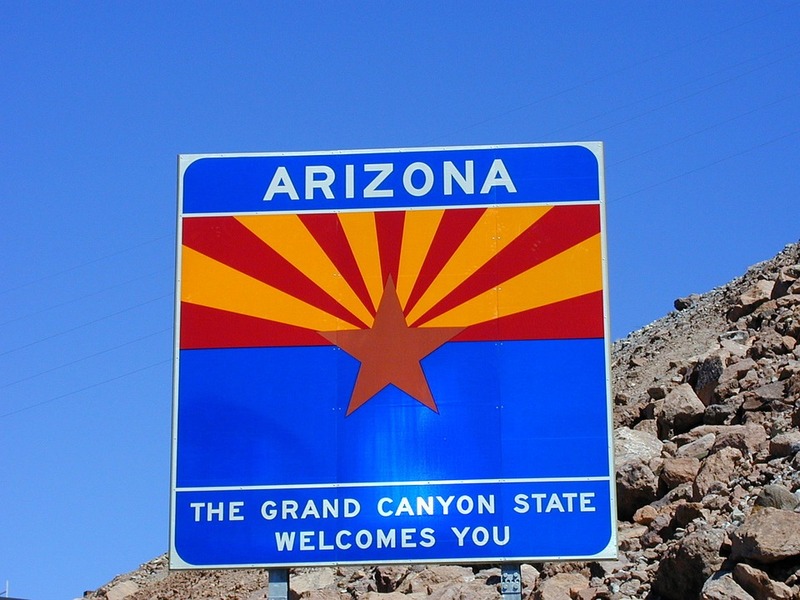 The highest temperature in Arizona was recorded on June 29, 1994 at a scorching 128 degrees Fahrenheit. Where? Lake Havasu City. Anatomy jokes aside, ‘haboobs’ are common in Arizona. Originating from the Arabic word for ‘dust storm,’ a haboob is likely to appear during the summer months bringing with it winds up to 30 mph and a giant wall of dust. The only thing better than Arizona’s Mexican food is its margaritas. In fact, America’s first barrel of tequila came from the city of Nogales in 1936. Hiking is a popular activity in Arizona, but should you venture off into the mountains, watch for rattlesnakes! The state claims 13 species of rattlesnakes with the majority of them slithering about the Southeastern region. The Arizona Biltmore Resort and Spa is the place to be if you happen to preside over the country. Every U.S. president since Herbert Hoover has stayed there; however, President Obama broke the tradition, opting for Pointe Hilton Squaw Peak instead. The Arizona State Fair is a longstanding tradition among natives. The annual attraction draws over one million people with the promise of live music, rodeos, livestock, and—of course—fair rides, games, and all the fried food you can eat. For the adventurous spirit, there’s the Peach Springs’ Grand Canyon Caverns—’hotel rooms’ nestled 22 stories underground. Would you spend a couple hundred dollars a night to sleep in an underground cave? Arizona may be best known for its golf, hiking, and record-breaking heat, but there’s a lot more than meets the eye. From hidden gems to traditions rooted deep in the state’s history, Arizona has much to offer natives and tourists alike. Contact us today if you are interested in learning more about our luxury Dove Mountain homes in Marana.